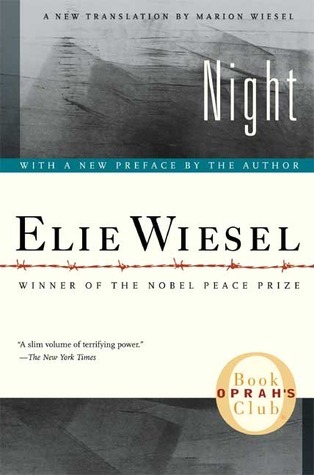 Posted on August 22, 2012 by Melanie B.
I just finished reading “Night” by Elie Wiesel. This amazing book was written by a Holocaust survivor about his time as a teenage boy in a concentration camp. I read this book in a day. I literally could not put it down. Night was written years and years ago and was recently re-translated by the author’s wife. Elie Wiesel is a Nobel Peace Prize winner and the author of many, many more books that I plan to explore. I am so amazed how he was able to share his heart wrenching story. I would, hands-down, recommend this book to everyone. Night A terrifying account of the Nazi death camp horror that turns a young Jewish boy into an agonized witness to the death of his family…the death of his innocence…and the death of his God. Penetrating and powerful, as personal as The Diary Of Anne Frank, Night awakens the shocking memory of evil at its absolute and carries with it the unforgettable message that this horror must never be allowed to happen again. 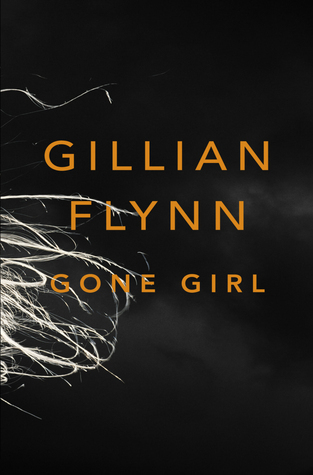 Posted on August 8, 2012 by Melanie B.
I just finished reading “Gone Girl” by Gillian Flynn. Wow. I could not have predicted the ending of this book. I guessed my entire way through reading… about what will come next. I love that Goodreads actually describes this book as “unputdownable” Did they make up a new word just for this book? The author has two more books that are on my to read list called “Sharp Objects” and “Dark Places.” After reading “Gone Girl” those two titles are moving to the top of my list!